Oasis RV Park & Golf Course | Ephrata, Washingon | between Seattle and Spokane, just north of I-90 and an hour south of the Grand Coulee in the heart of Central Washington offers the finest camping facilities to be found in the area. Pacific Springs RV Resort | Ephrata, WA | Offers 67 RV spots and each one of them accommodates a 65-footer. We also have 10 cabins and one suite. 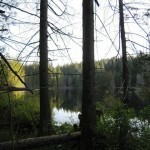 Pine and Cedar Lakes | Bellingham, WA | Hike in, primitive camping. It is part of the Chuckanut Mountain Park & Trail System located in Whatcom County, Washington. Pine and Cedar Lakes consists of 2 small lake at the end of the Pine and Cedar Lakes trail.